IFC Area: Located in what was called Peter Maheras Playground (at the foot of Conner St.) and is now called Maheras-Gentry Park. 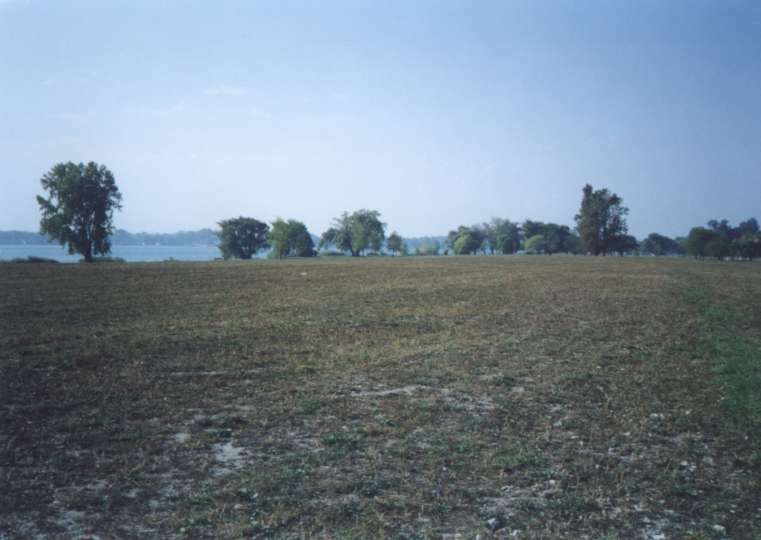 It was 1500 feet west of the D-23 IFC located in Alfred Brush Ford Park. GPS: +42° 21' 22", -82° 56' 58"
GPS: +42° 20' 43", -82° 57' 20"
Current Status: The Launcher Area was demolished a number of years ago. What is left is a poor fill with many chunks of concrete, brick and other debris sticking out of the ground with sparse grass and weeds trying to cover it. Nothing is left of the IFC. All land has reverted to the park. D-23/26 as seen in 1961. 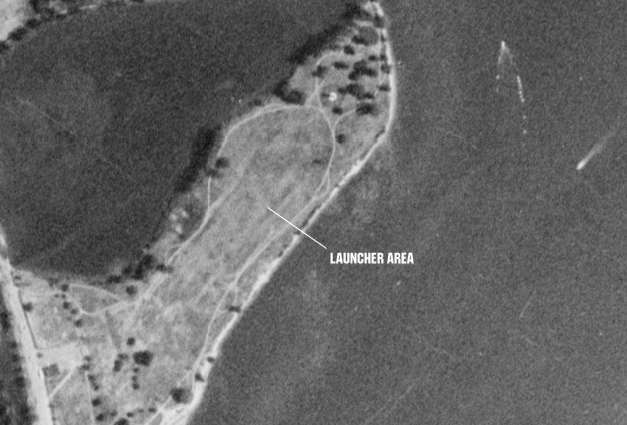 D-23/26 Launcher Area as seen in 1961. 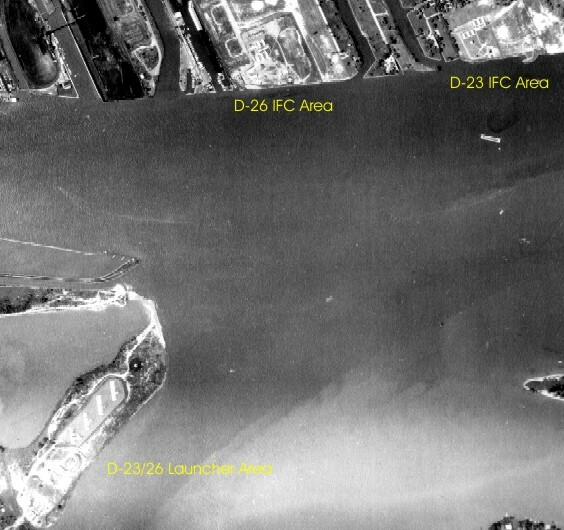 D-23 and D-26 IFC areas as seen in 1961. 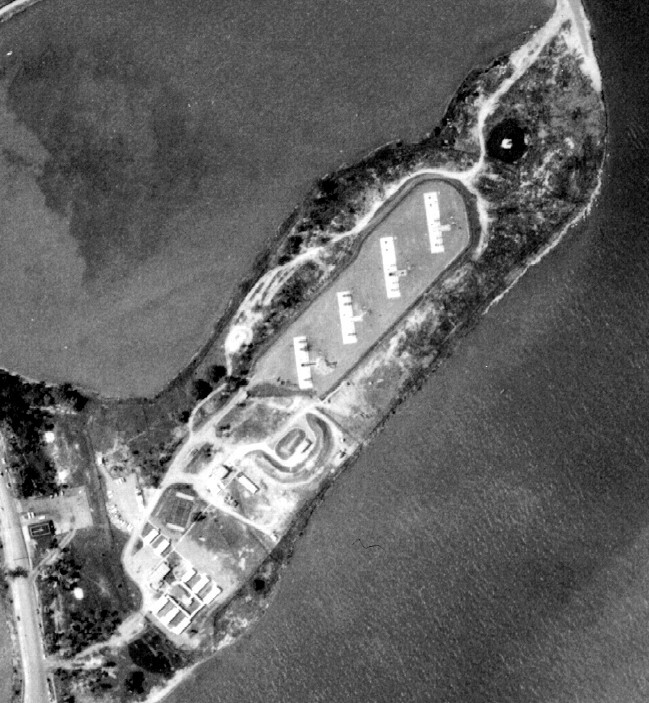 D-26 IFC area as seen in 1961. 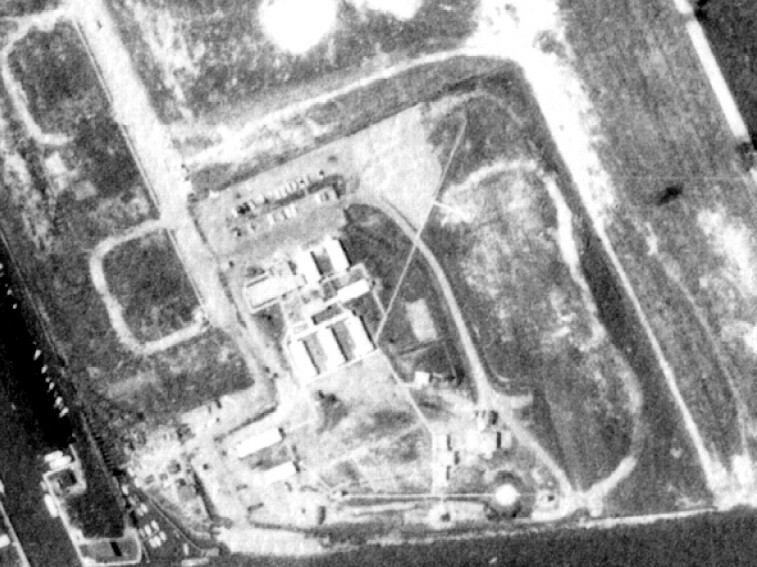 This is where the Launcher Area was. This picture was as of 1988. The whole area had already been leveled. This picture came from the Microsoft TerraServer. The former Launcher Area looking to the East. That is a small Lighthouse at the far end of the area. 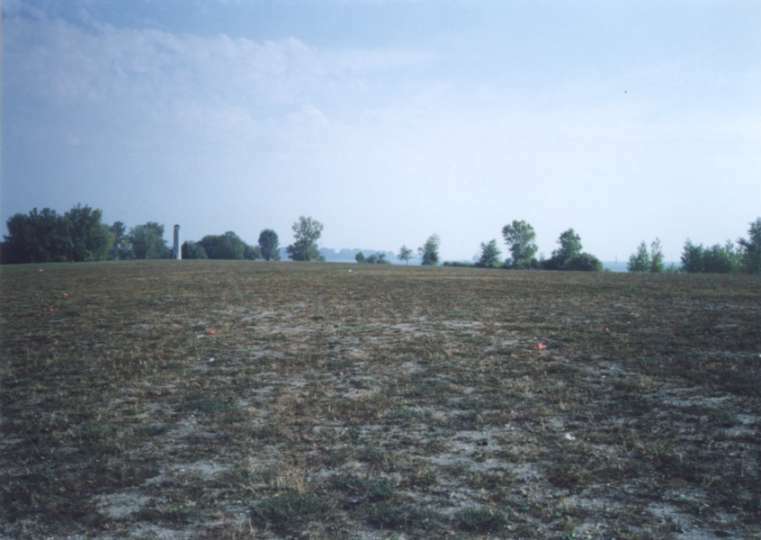 The Launcher Area looking South toward Windsor, Ontario, Canada. 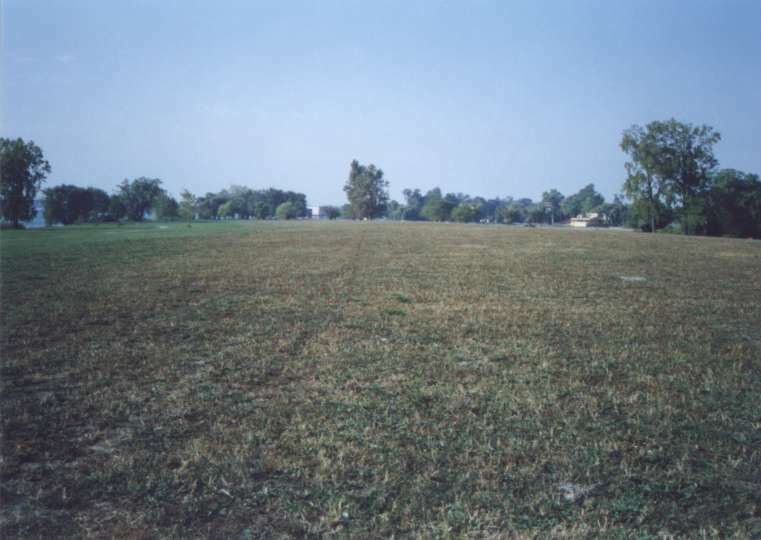 The Launcher Area looking West toward Lakeside St.
Army Corps of Engineers blueprint showing IFC layout - Buildings, towers, etc. 466k PDF file. Army Corps of Engineers blueprint of the land allocation for D-26 IFC. 425k PDF file. Army Corps of Engineers blueprint of the land allocation for D-23/D-26 Launch area. 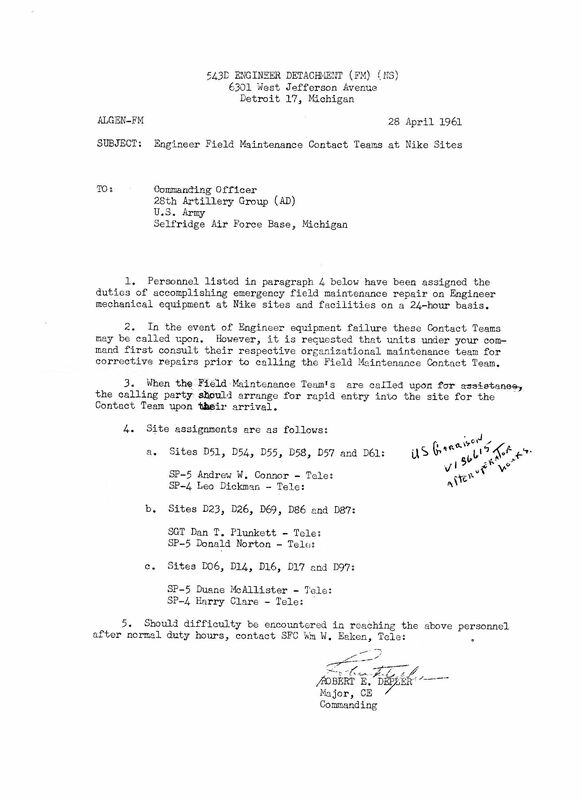 407k PDF file. This page was last updated on 08/09/2018 .